I suddenly get captivated with this fruit. Yes, BANANA! So that's why, I searched through net and find few articles about it. I decided to post it here. The banana tree isn't really a tree at all. It's an herb, from the family Musa. Did you know that many countries around the world use banana oil in their cooking and that the banana tree leaf is part of several regular diets? Did you know that bananas also come purple or red and that red banana tree is used as a house plant? Did you know that bananas grew all-year round? 1.Bananas are an excellent source of potassium and vitamin B6. They are a good source of vitamin C, riboflavin, magnesium, biotin and carbohydrates. Banana is rich in iron that can be very helpful in cases of anemia. 2.Banana is also an energy booster. It also contains tryptophan, a type of protein that the body converts into serotonin. Serotonin is a hormone that is known to make you feel happy and improve your mood. 3.Banana is good for people who have high blood pressure because it is low in salt. It is also high in potassium, an element important in the regulation of blood pressure. 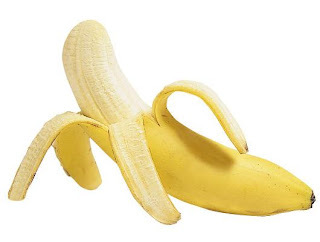 4.Banana is an effective treatment for diarrhea, and in a study involving infants with persistent diarrhea, green banana and pectin improved small intestinal permeability and reduced fluid loss. Bananas are well known amongst travelers to third world countries for their anti-diarrhea properties. 5.Bananas have also been found to help eliminate bacteria in the stomach that cause stomach ulcers. It also has a natural antacid and high fiber. Parents don't always spend enough time thinking about their children's dental care. When the children are very young it's important that we pay particular attention to what snacks we choose for our children. Not only are the right foods important for the health and development of our children, but the right choices for snacks and treats will definitely have an effect on the health of their teeth and their gums. Choosing the right snacks for your kids just takes some common sense. Your kids need nutritious healthy foods like fruits, vegetables, and grains. But far too often we end up substituting convenient packaged snacks and treats instead of providing the children with the natural nutrition of fruits, such as apple, oranges, berries, and bananas. Children can be finicky when it comes to eating, and allergies can be a concern (especially with nuts and strawberries and the like), but very few children ever say no to a banana, a high nutrition fruit that provides quick energy for children on the go. While too much sugar can cause tooth decay, and some fruits can increase the rate of decay (for example, offering toddlers apple juice in drinking cups every night before bed), bananas are a food that won't stick to teeth, are easy to remove from dental work, and provide all the positive health benefits you could ask for in a fruit. Vitamins, minerals, potassium, are all packed into simple healthy, low-calorie bananas (Toque Media Network). Nutritional Values: Per 100 gm. Vitamin A : 430 I.U. Vitamin C : 10 mg. So go ahead and offer your children bananas when they're crazing a treat. It'll likely be an acceptable sugar substitute for your kids, and give them the extra energy they need to keep going and at the same time you'll be able to stop worrying about filling their mouths with sugary snacks that will ultimately lead them to the dentist's chair (Toque Media Network).